Finally, we started Official Clash Royal Private Server for absolutely free. Discover and enjoy all the game amenities with no restrictions on our primary server! Our server is developed by the OpegitStudio. Besides, there is more stable commercial version of private server with new additional cards. In free version, you are able to perform all the same functions of commercial server but with some possible bugs, that will be rectified in near future. So, what is on Null’s Royal server? 2v2 Battles, regular battles and many more are included. Feel free to form your own clan just like in an original version and play together in multiplayer mode on our server. One of the most exciting game events are new challenges with ability to earn and open new cards and modes. Due to no restrictions on our server, we decided to create our own individual special challenges. 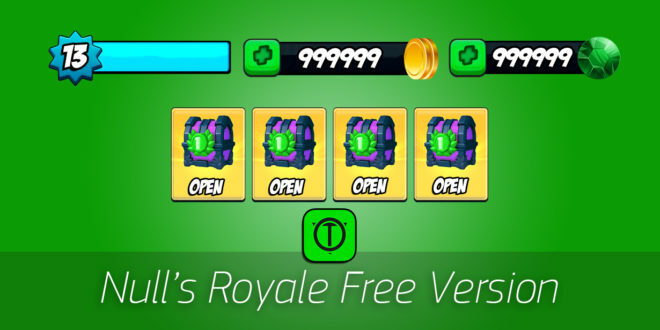 What about treasure chests and gems? As we told earlier, there is no game restrictions on our server, so you automatically get chests full of treasures for free. You also can win a wide variety of chests playing in multiplayer mode. More than that, you will have ability to climb up the trophies using best-equipped cards. All this you will get on Null’s Royal. We strive for high quality and stable working simulator – this is our advantage over other open internet servers. 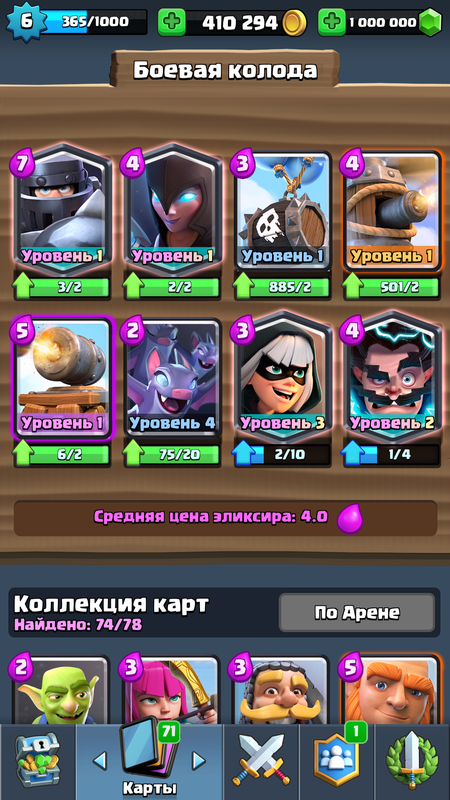 In addition, it is the only way to gain the trust of Clash Royal game players. 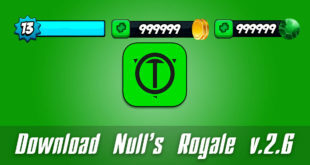 And MORE on Null’s Royale! Hey ! i wanna talk with you guys on a Business purpose ! Mail me on my gmail. I cannot use the other challenge modes or even end a battle. I have to restart the game after every match and i gain no trophies. I enjoy this server very much but please fix these issues!! my nulls royale crashes and I lose the matches when I start the game again what do I do? I want New the New cards!How can i buy premium?Pls send me a mail!!!! 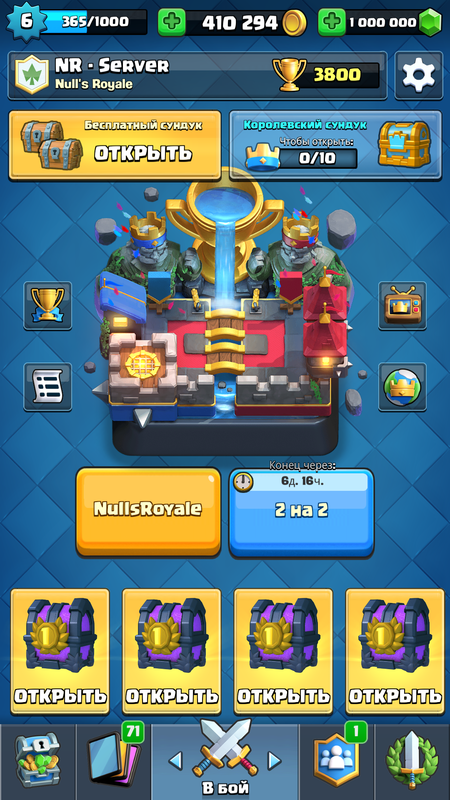 Jogo Royale travando na arena não consego jogar cartas daí depois de alguns minutos volta eu pedir batalha o q eu posso fazer? Ето самий лутший сайт где можна скачать приватний сервер с обновлениями! !